So, you get to see some Fall CupCakes from Hostess. 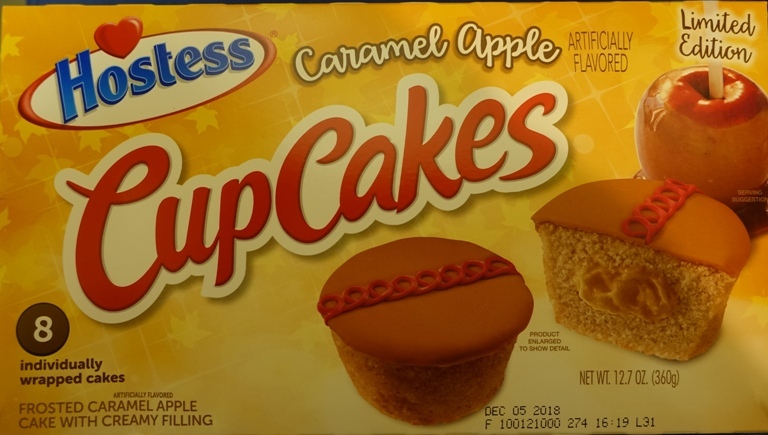 I did not find the Pumpkin Spice ones, but did find Caramel Apple CupCakes again this year. The box cover is a bit different than it was two years ago when I last bought some. You could look at the previous post and play ‘spot the differences’. I do like the art for the box as it really conveys the way that these CupCakes taste. When I opened the box I caught the nice aroma of caramel apple so was really looking forward to tasting the CupCakes. They have definitely done some work on the equipment that makes the CupCakes as the frosting is more uniform now. The frosting is a nice color and consistency and the squiggle looks pretty good. It is not quite uniform, but much better than it has been in the past. Yes, they have a good caramel apple taste. I like the consistency of the cake and there is a good balance with the filling, cake and frosting. None of them overpower the others. 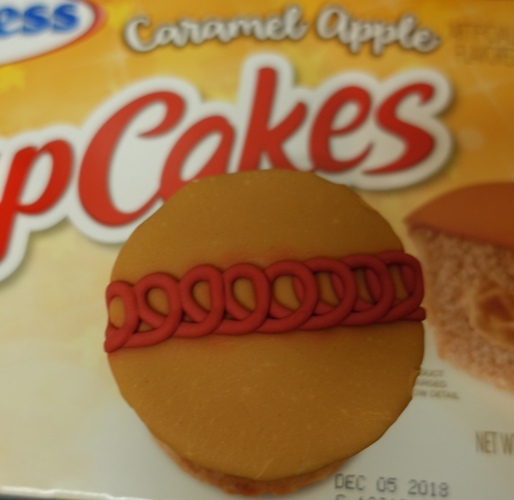 This entry was posted in Food and tagged Apple, apple caramel, cake, Caramel, CupCakes, Flavors, frosting, Hostess Snack Cakes, Squiggle. Bookmark the permalink.